Yep, we wish we were invited to Steve Aoki’s 40th birthday. 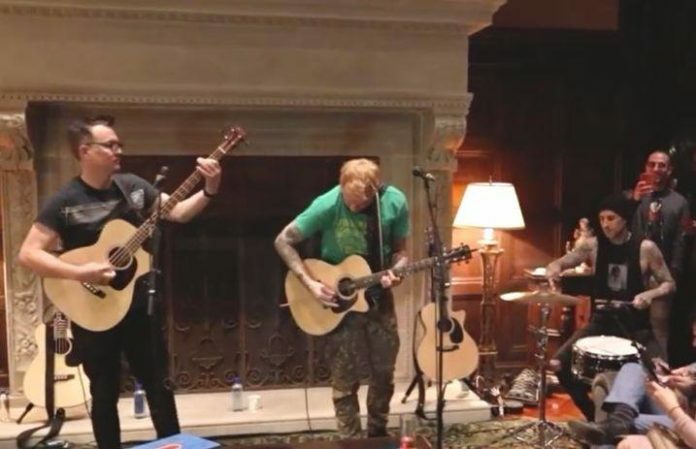 Blink-182 stopped by to play a stripped-back version of “What’s My Age Again?”, and it’s pretty spectacular. And their friendship goes back a little bit, with Aoki putting put a new spin on blink-182's single, “Bored To Death,” intertwining scenes of Aoki's live shows and blink-182's iconic music video for the track. Listen to that track here! What are your thoughts on the band’s live version of “What’s My Age Again?” Let us know in the comments below!